Sideshow to produce DC Product, DC Direct Still Going Strong: Andy's Wallet has Heart Attack! So, Sideshow will be producing DC Products, and DC Direct is still alive and going strong? I've put my kids on notice that the whole family has to learn how to live with one kidney each, cause we're gonna have to sell the others to afford this! 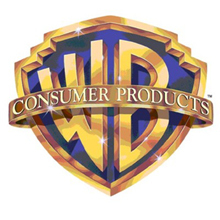 BURBANK, Calif. – July 12, 2011 –Warner Bros. Consumer Products (WBCP) announced today that it, along with DC Entertainment, has enlisted Sideshow Collectibles, a leading specialty manufacturer of licensed collectible products, to create a signature line of premium statues, busts and other collectibles inspired by DC Comics’ stable of iconic super heroes and villains. This heroic alliance paves the way for Sideshow Collectibles to offer products featuring DC Comics’ most revered super heroes and villains, including Superman, Batman, Green Lantern, and Wonder Woman, as well as items inspired by the upcoming theatrical releases “The Dark Knight Rises” and “Man of Steel.” In addition to premium statues and busts, Sideshow Collectibles will produce limited edition art prints and high-end 1/6 scale articulated figures. These all-new collectible lines will complement the robust offerings available from DC Direct. In addition to premium collectibles, Sideshow Collectibles’ limited edition 1/6 scale figures feature more than thirty points of articulation, highly detailed accessories, real fabric costumes, and an array of switch-out parts for customizable display potential. The art print products will capture the best of the DC Comics characters and adventures in flat art form. Sideshow Collectibles will also be collaborating with Mondo Tees to create limited edition prints, each featuring original artwork which is screen printed on archival paper and highly limited. Hmm, might have to look into this kidney selling idea, I have been curious about trying out one of those fancy 12 inch figures. Man there is going to be some seriously cool stuff coming out because of this. I hope the scales stay the same so Premiums, comiquettes, etc, are all in scale with the Marvel stuff they've done. Can we start a petition?